Hi everyone! I just received my copy of John Clemente's new book "Girl Groups: Fabulous Females the Rocked the World". John has made an amazing contribution to the girl groups genre. But what is the so called Girl Group Sound? The peak period of what today is called "girl group music" occurred in the pre-British Invasion 1960s and was captained by the Brill Building writers and producers. Although girl group sound was highly theatrical and influenced by records from the Leiber & Stoller school, the productions, arrangements and recordings were becoming more and more textured and full. The songs recorded by the girl groups were naive and adolescent, but like the times, the lyrics started to show a yearning for a better way of life. Indeed, the lyrics were unsophisticated and simple on the surface, but the subtext was there for every teenager to consider. Brill Building writers took a lot of flak for being superficial, but given the times, the simple yet yearning characteristics of lyrics on girl group records reflected all those adolescent problems from a female viewpoint. 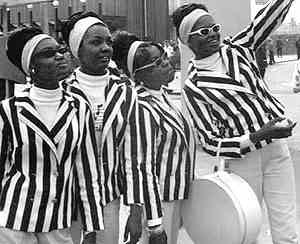 After the Shirelles initial success, a myriad of girl group records was released by major and indie labels, made by established and aspiring producers. Most famous of course was Phil Spector, who after having a #1 hit record with the Teddy Bears when he was still in high school had worked in New York with Leiber & Stoller. 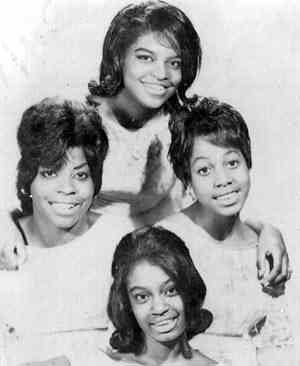 Among his girl group productions is the early "I Love How You Love Me" by the Paris Sisters on Gregmark. Shortly thereafter Spector signed the Crystals and began the Philles label, which could be called the pinnacle of the girl group labels. Girl Groups -- Fabulous Females That Rocked The World gives exciting and detailed accounts from members of the Angels, the Cookies, the Chantels, the Crystals, and the Exciters. 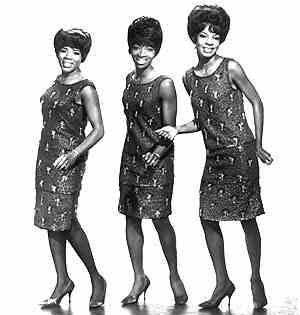 Also from the Supremes and the Go- Go's, whom have contributed the most to the girl group genre. 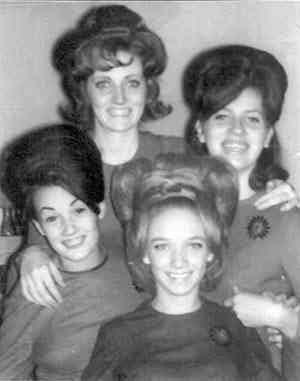 All girl group enthusiasts and music lovers in general will benefit from the biographical information included in this book and more than 100 photos of obscurities like Maureen Gray, Beverly Warren, The Darlettes, etc. In contrast to Alan Betrock's book, John has made a serious effort to dig up the more obscure girl groups and shed some light on their careers. You'll be surprised to see that the sections on Jean Thomas and the Teardrops are larger than those of the Ronettes and Chiffons! John's book also clears up a lot of confusion about those mystery girl groups. Like, who were the Cinderellas? The Honey Bees? The Palisades? Well, turns out they were all the Cookies.....but I was stumped on that one for a long time! This is a must for anyone interested in girl groups! I couldn't recommend it enough. The Spectropop Group is an internet based group of services for the study and research into Brill Building: Aldon Music, Trio Music and the 60s songwriters era and West Coast recording and production - the recording wizadry and studio musicians of the 60s. Membership of the Spectropop Group is comprised of published authors, journalists, recording artists, music publishers, record company staff and serious fans of 60's pop music. Cha Cha Charming is a journalistic tribute to the sounds of the sixties, Japanese pop music, and heavy metal! A highly inventive publication chockful of rare photos, well-researched comprehensive articles and in-depth interviews. Recent issues have included the Guide to Sixties British girl singers, record collecting, favorite girl groups records, a HUGE guide to British and American sixties girl groups and an exclusive interview with highly regarded 60s girl group, the Pixies Three. This web page is not a paid advertisement. Endorsement of this publication by the Spectropop Group is solely in the interest of furthering study and research into the cultural phenomenon known as girl groups sound. 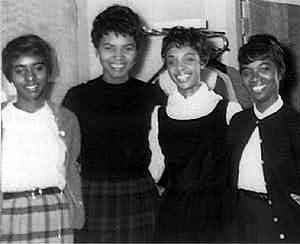 (L-R) Eloise Covington, Sandra Durant, Gloria Meggett, Lorraine Anthanio. (L-R) Dorothy Dyer, Pat Strunk, Wendy Sheriff, Linda Schroeder. 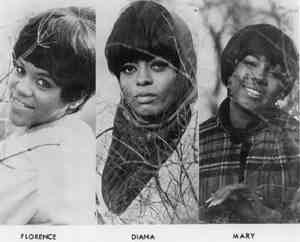 (clockwise from top) Lorraine Anthanio, Delores Rainey, Eloise Covington, Gloria Meggett. (L-R) Carolyn "Cal" Gill, Bertha Barbee, Mildred "Millie" Gill, Betty Kelley.